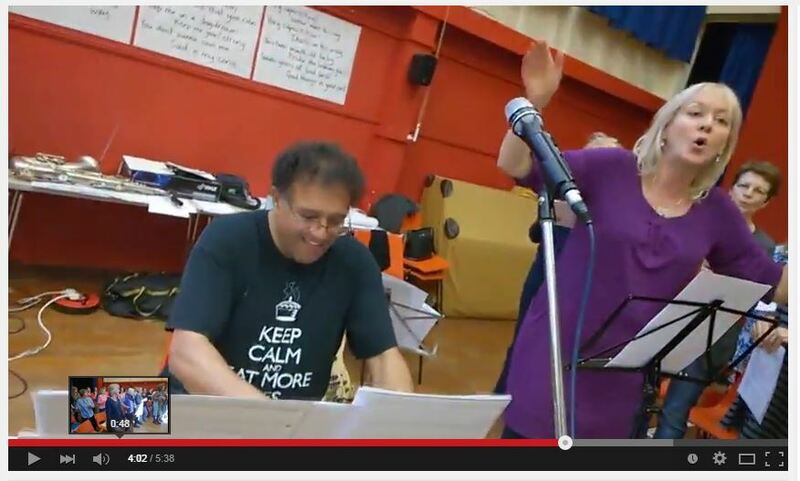 On Saturday 18th April, Marius and Cindy ran the first ever “Sing with Sassparella” community singing event. The idea began to form when a number of the audiences at concert said they would love to sing with the choir… as some of these were men (! 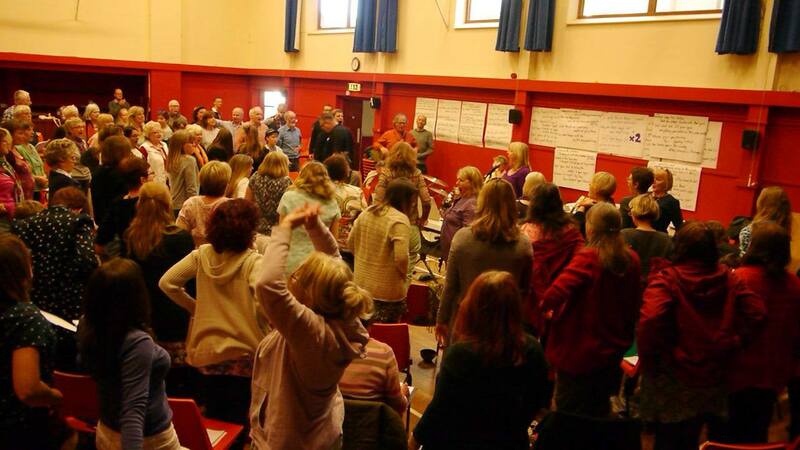 ), we thought, “what better way than to arrange a community singing event open to all?”. We chose the ‘Motown songbook for starters. We were a bit unsure how it would recruit… but we needn’t have worried! On the day, we had a great mix of singers from a number of local choirs, friends of Sassparella, and some people who just loved the idea of singing some of the ‘Motown hits. The day was rounded off beautifully by the appearance of a live soul band: the performance of pieces like “Dancing in the Street”, “Tracks of my tears”, “Reach Out- I’ll be There” and “I WIsh” were epic! We just have to do it again! Here are the dates we have earmarked for rehearsals so far. There are some consecutive Mondays as we have a lot of preparation and quite a busy schedule for the Autumn! That will comprise of three 20 minute sets…. ( I am sure we will be able to repeat some songs as we have two different venues). Marius will be bringing the guitar…..! It will be a good experience hopefully! We will need to arrive by 10.30 am and will be finished by 3 pm. I suggest we take a picnic….hope the weather is nice! This is the one we will receive tickets from Grenville for and hopefully we can fill the Sassparella coffers with a good sales push! This year we will make it a triple header with the Cindy Stratton Band and ZBella, with a bit of crossover here and there, with a special appearance from Carlos Alonso, the local tenor who sang so well at Poppy’s wedding! It will be very festive like last year, and we can provide mince pies, mulled wine etc and make it sufficiently different from the Roper Wing so that it will be an equally attractive concert to invite friends and family too. There is a six week gap between the two concerts. Friday 14th June… Poppy’s Big Day!